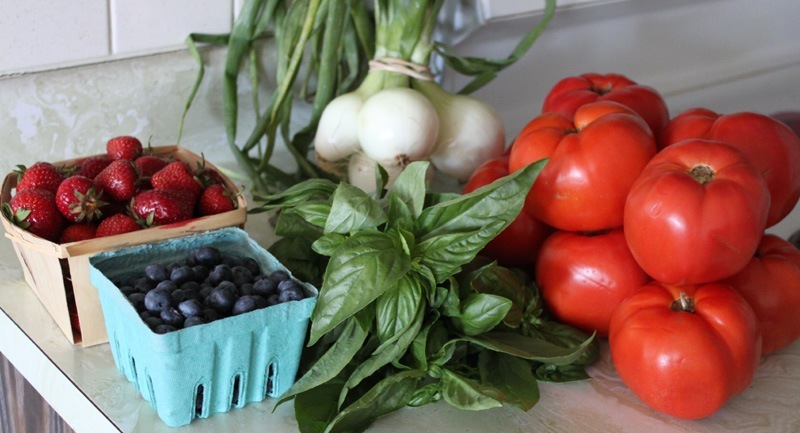 What’s better than farmer’s market produce? 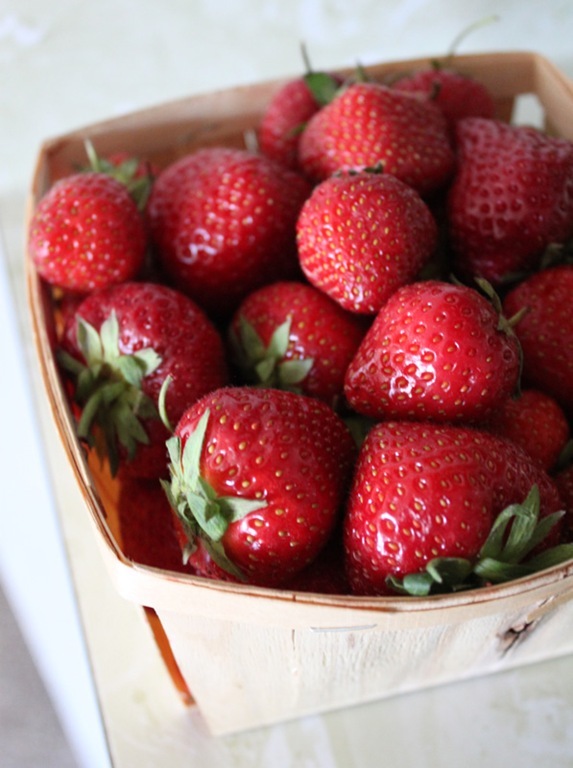 Summer strawberries, to be specific. I’d say pretty much nothing. Except maybe this recipe. David Lebovitz to the rescue again! 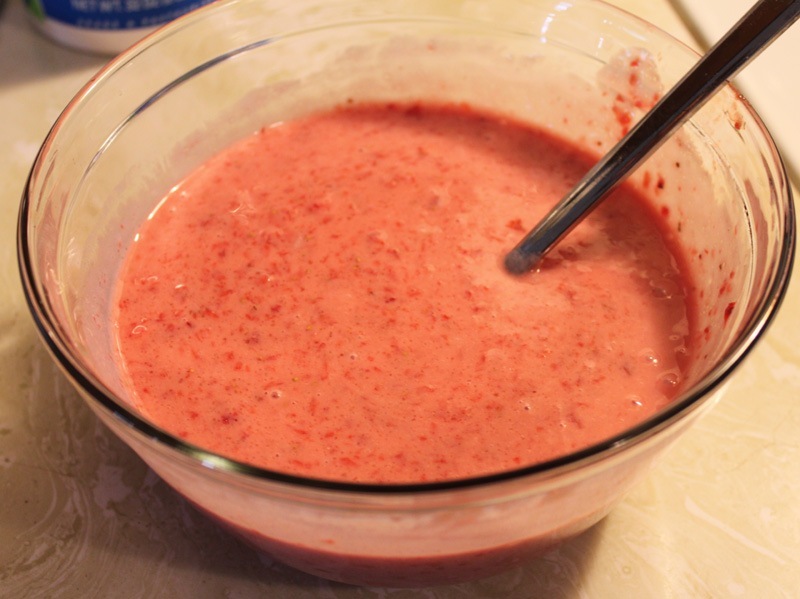 His recipe for strawberry froyo couldn’t be simpler or more delicious. 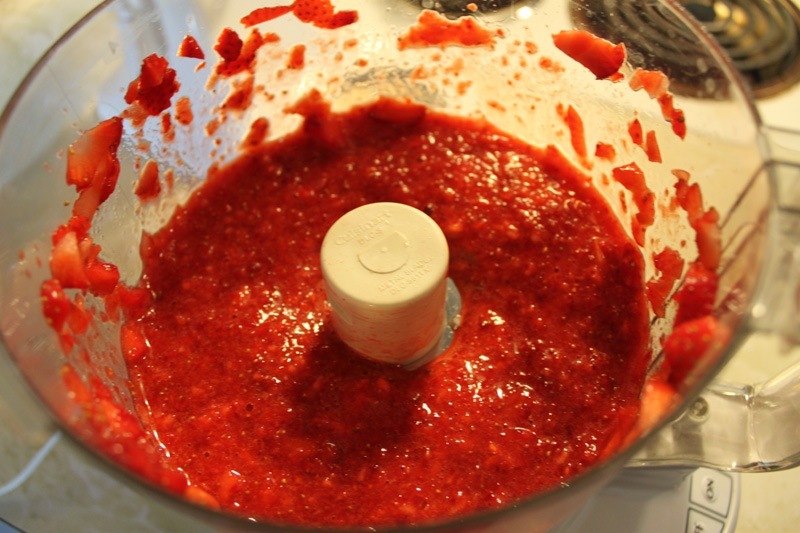 First, rinse and trim all of your strawberries. 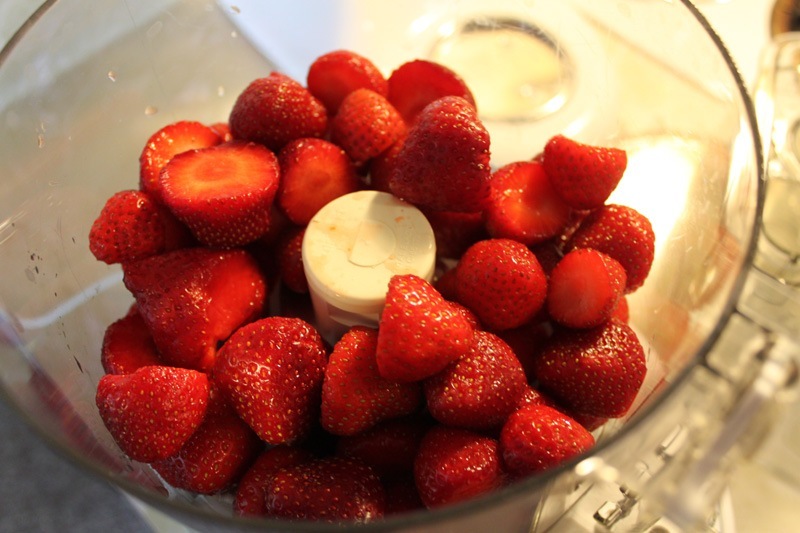 After your strawberries are prepped give them a whirl in your food processor. 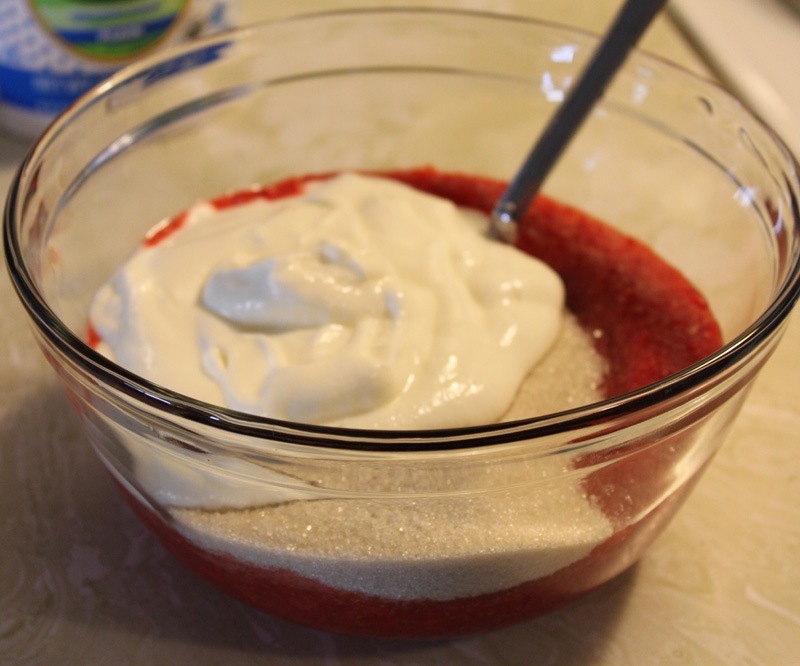 You want a pureed consistency, not totally liquefied. 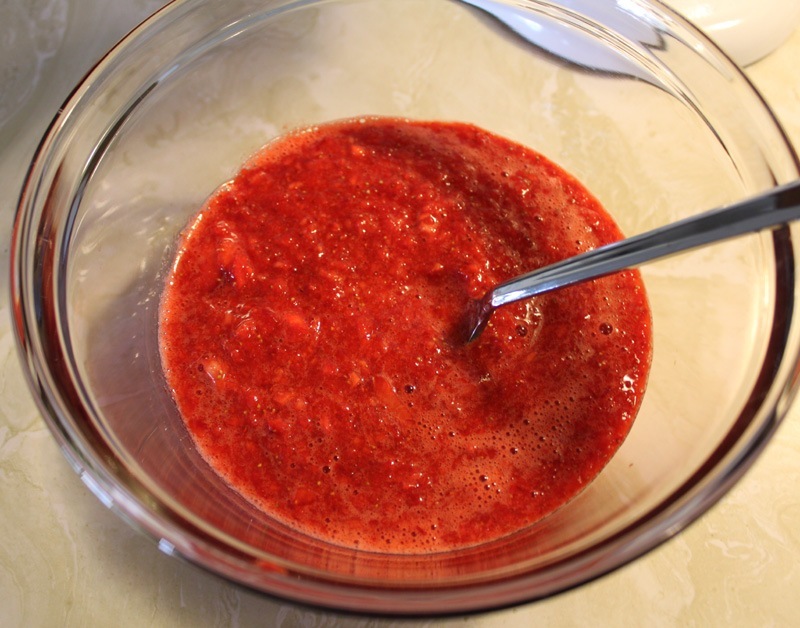 Place your strawberry puree in a bowl. 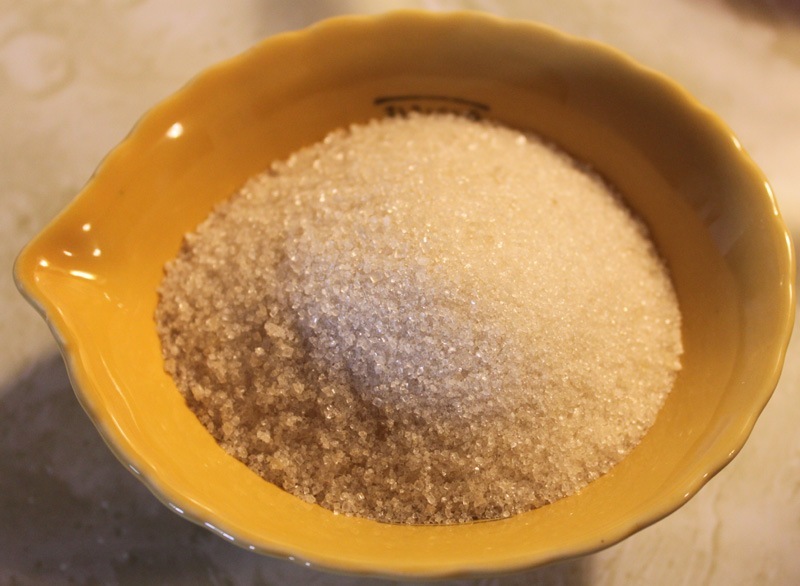 Combine thoroughly with the sugar, yogurt, and lemon juice. 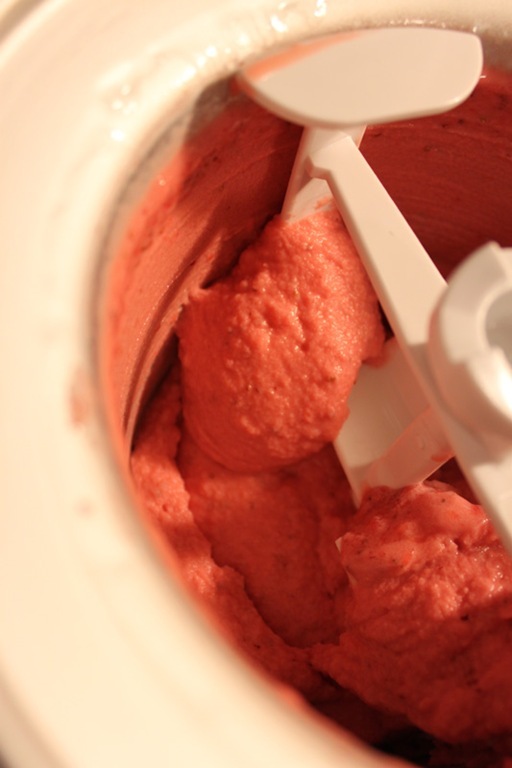 Chill for at least an hour before you make your froyo in your ice cream maker (I left mine in the fridge overnight). 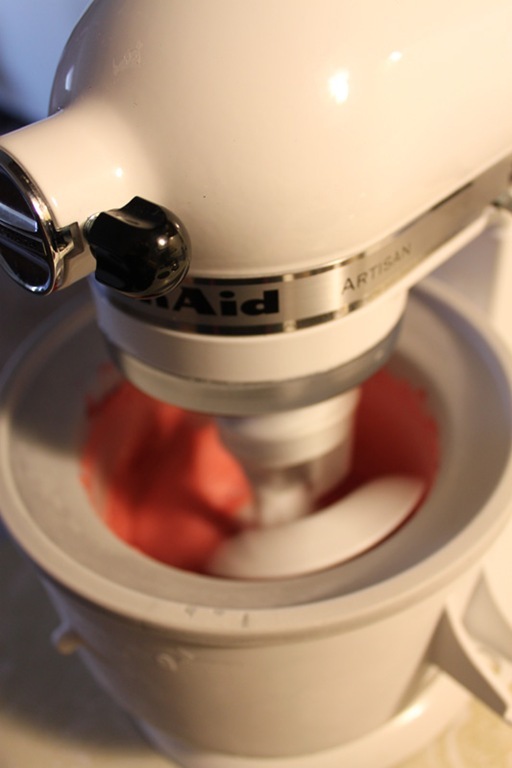 Use your strawberry froyo batter in your ice cream machine or with your ice cream attachment according to the manufacturer’s directions. 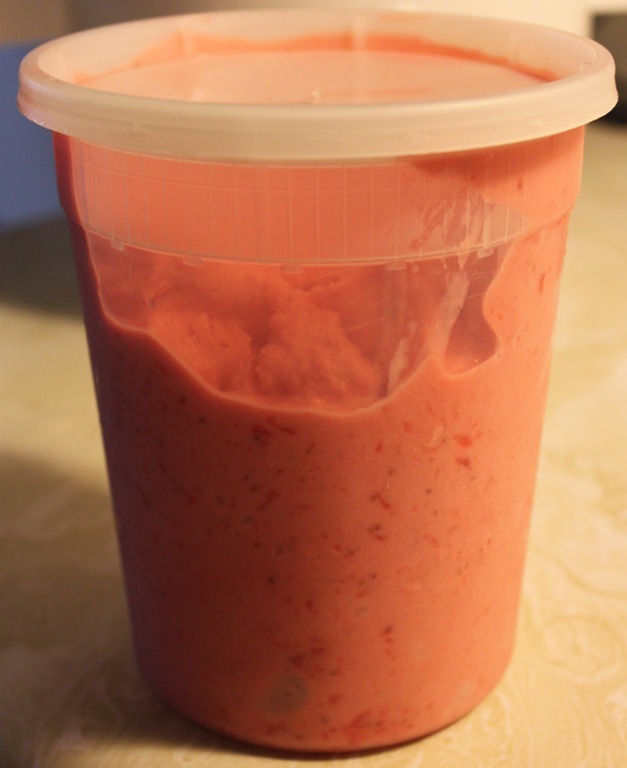 Transfer to a freezer-safe container and freeze for at least 2-4 hours. I froze mine overnight. You’ll find this frozen yogurt is going to freeze hard. 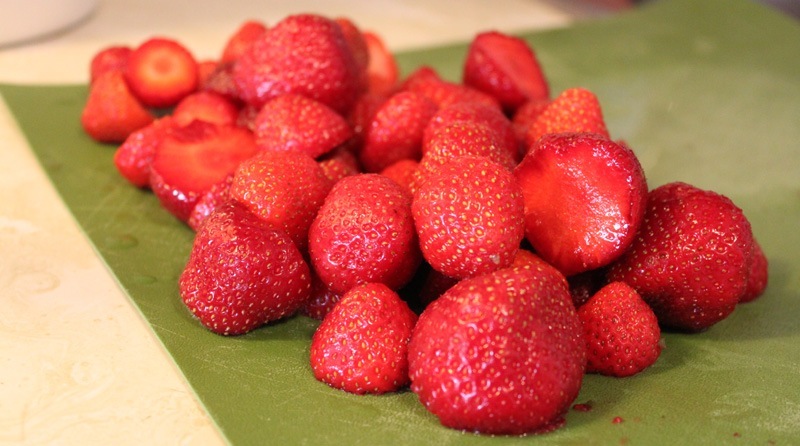 Strawberries, like most fruit, are mostly water so it freezes very firm. Not a dealbreaker at all, just worth mentioning. 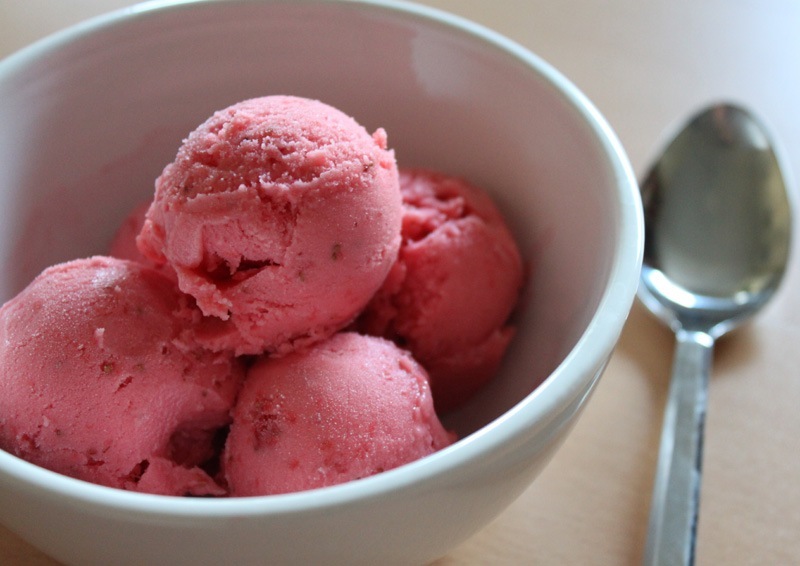 This frozen yogurt is the perfect summertime treat. It’s sweet, fresh, and bursting with strawberry goodness! nice post, good pics, keep them coming. That’s it? 4 ingredients? This is now officially on my list for the weekend. I know, crazy, right? It’s easy AND delicious! Wow – that looks incredible! I agree with craftosaurus – only 4 ingredients? Count me in!